Cinnamon. Sugar. Sweet. Potatoes. Do I have your attention yet?! This may in fact be one of my most outlandish recipe ideas ever, but I’m not mad about it. 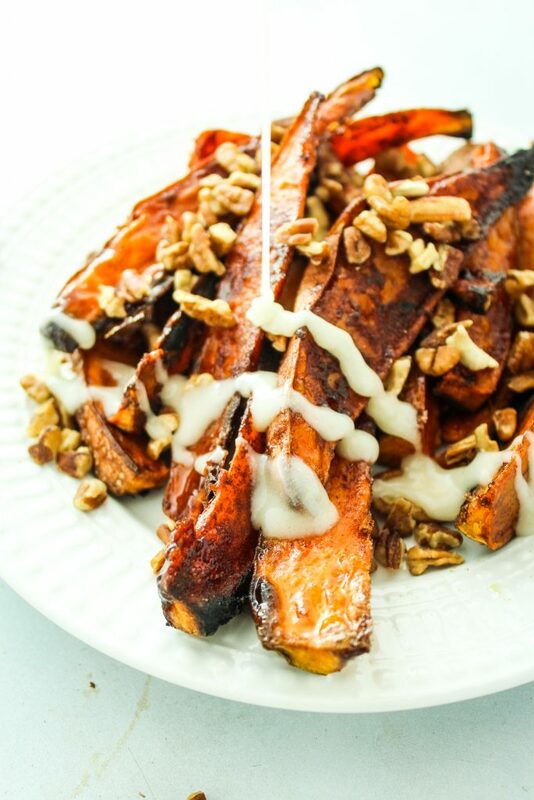 Nope, I’m just sitting over here enjoying my heaping pile of dessert-style sweet potatoes with icing dip. It’s no secret that I love sweet potatoes. I mean, I’ve used them in approximately 149 of the recipes on this blog and I’ve cooked them about 9,375,872 times in my life thus far. I like them spicy. I like them hash-browned. I like to make noodles out of them. And now, I’ve found a way to eat them for dessert. My life’s mission is complete. I’m retiring from blogging. JK! I would never leave you wonderful people. Who else would I share my sweet potato obsession with? 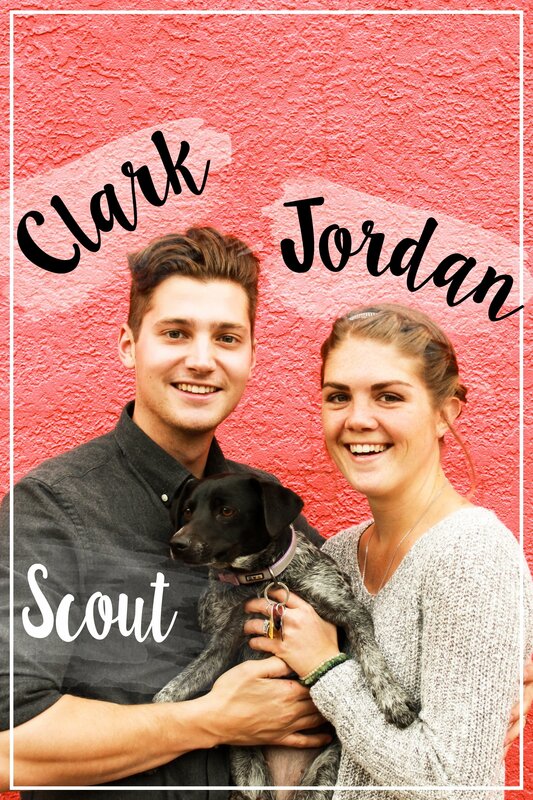 Who else would listen to me rave about my love of brussels sprouts? You are my people! 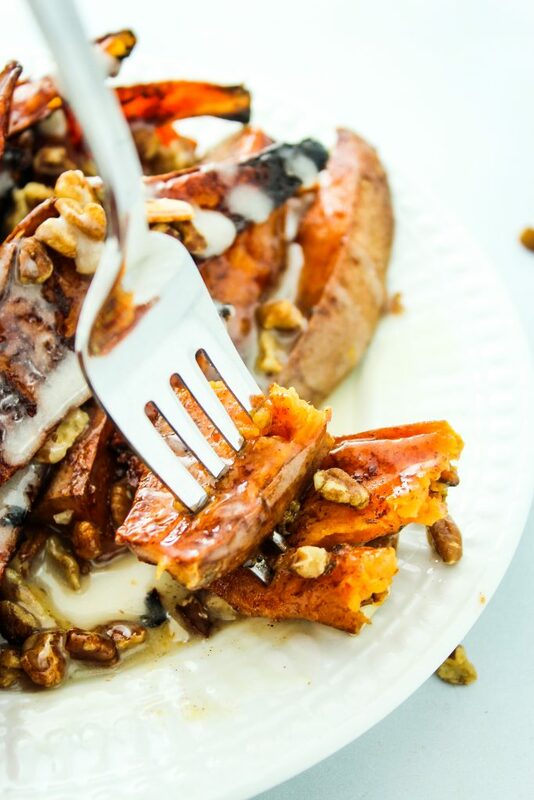 And you need to make these cinnamon sugar sweet potatoes right now. As outlandish as the whole concept of dessert sweet potatoes may sound, bear with me. I do NOT like traditional sweet potato casserole. I do NOT like sweet potatoes with marshmallows and brown sugar. In fact, those are the only 2 ways that I don’t like sweet potatoes. But this recipe is different. 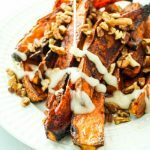 Once you arrange the sweet potato wedges on the baking sheet, they get a nice coating of coconut oil spray. Then they get generously sprinkled with the cinnamon sugar mixture and tossed to cover every last bit. Pop the baking sheet into the broiler and watch the magic unfold. 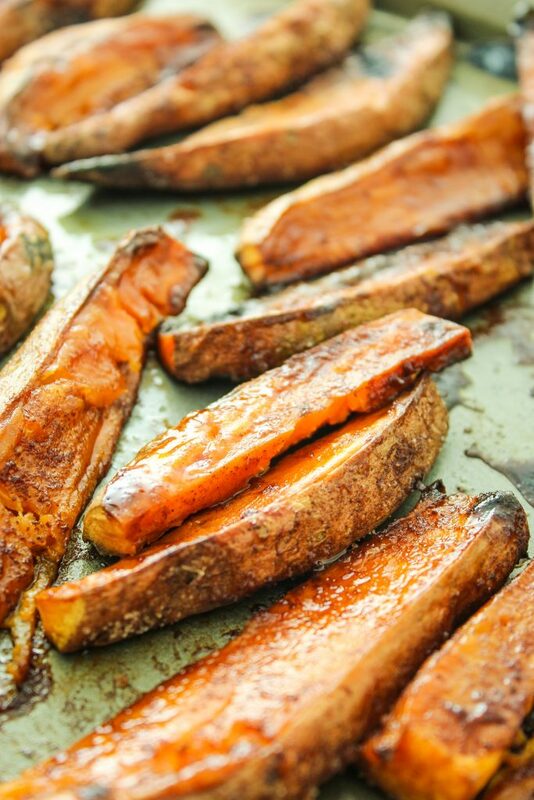 As the sweet potatoes cook, the sugar caramelizes on them, giving them a crispy, sweet crunch. In a small bowl, stir together sugar, cinnamon, and sea salt. Set aside. Peel sweet potatoes and chop off the ends. Cutting from end to end, create wedges about 1/2″ thick. Turn oven on to broil setting. 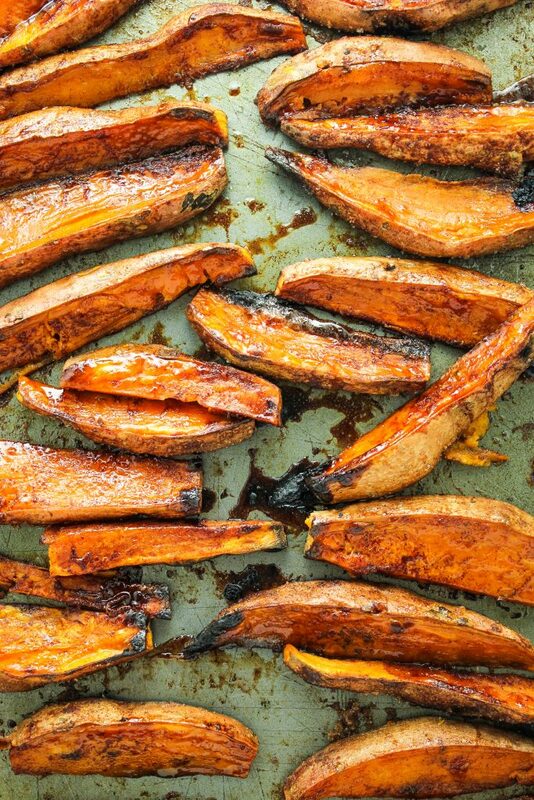 Arrange the sweet potatoes on the baking sheet, making sure not to layer them. Give them “breathing room.” Again, if they are too close together, they will steam instead of baking. Spray generously with coconut oil and sprinkle the cinnamon sugar mixture evenly over them. Toss to coat as evenly as possible. Broil on high for 20-25 minutes, flipping halfway. Shake the can of coconut milk well. Combine coconut milk and powdered sugar in a bowl and whisk until smooth. I prefer a dip that’s less thick for these – if you like a thicker consistency, just add more powdered sugar. *This serves 6 as a dessert.